The New Yorker calls Stoner “the Greatest American Novel you’ve never heard of.” Despite my ravings, it took three years for me to convince my book club to select it. Perhaps it’s because, in it’s description, Stoner sounds fairly unremarkable. But I feel vindicated in that it received five 5-star ratings, making it one of the highest rated books we’ve read. 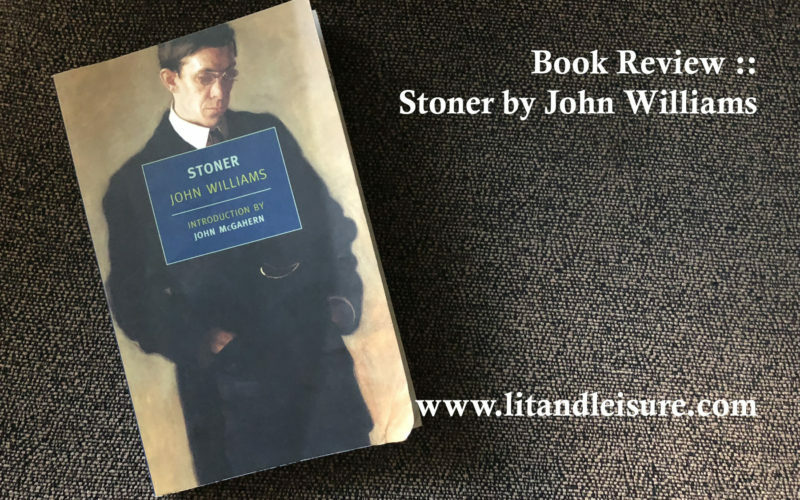 Stoner, the story of an unassuming English professor at the University of Missouri, went practically unnoticed when it was published in 1965 (fewer than 2,000 copies sold). Only after it started getting attention from readers in Europe, did home audiences reconsider, affirm its value and even publish a 50th Anniversary edition. Now, its sales are in the millions, and it has been translated into more than 20 languages. For me, Stoner is a near perfect novel. The prose can only be described as beautiful. It has structure, characters, symbolism, imagery, mood – this is the type of book that makes me wistful for my days teaching literature. There’s too much to talk about here, and so I’ve linked to other articles for continued reading below. 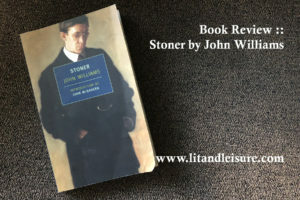 The title character, William Stoner, is an introvert. Having grown up on a farm, he has no plans, no expectations for the future until he his put on the spot one day in his English class. He is asked what a specific Shakespearean sonnet means and – as if for the first time – he understands that there is meaning beyond what is apparent. And, that it is possible to die feeling like a life devoted to something of value will make the inevitability of death less tragic. In this moment Stoner finds license to leave agriculture and pursue literature. He went out of Jesse Hall into the morning, and the grayness no longer seemed to oppress the campus; it led his eyes outward and upward into the sky, where he looked as if toward a possibility for which he had no name. In his forty-third year William Stoner learned what others, much younger, had learned before him: that the person one loves at the first is not the person one loves at last, and that love is not an end but a process through which one person attempts to know another. There are two antagonists – Edith, who’s evil nature can be compared to Kathy of East of Eden or Ron Rash’s Serena, and Lomax, the department chair who practices revenge on Stoner for Stoner’s actions against Lomax’s protégé. These two forces create an interesting parallel between his “loves” and more importantly how he is motivated (or not motivated) to stand up for himself against them. I don’t know how to (first) write a review that is worthy of Stoner and that (second) will convince all readers to pick this up if they haven’t. I can simply say that you should. You will not be sorry, except for the time that it took for you to be convinced to do so. There are plenty more, but these are the four I most enjoyed. Thanks for the review! I probably would have passed this by because of the title, thinking it was about a guy who liked to get high on weed! But it actually sounds like something I would love, about introverts, love, and life of the mind. I read Stoner for the first time a number of years ago and it has become my #1 recommendation when someone asks for a book suggestion. Very nice review!